Over the past few years cloud computing has become one of the biggest trends in today’s technology realm. With this new type of technology has come the term “cloud server.” While many people have fully embraced this new form of technology, many still are not completely positive about what a cloud server is and how it works. I started a computer repair/tech blog about three years ago. I was experiencing so many different repair scenarios on a daily basis that I wanted to write about them. Any comments, suggestions, additional tips, etc. are very welcomed and appreciated. OnForce Pros weigh in on Apple’s iOS 6 and a personal experience on an iPhone 4. 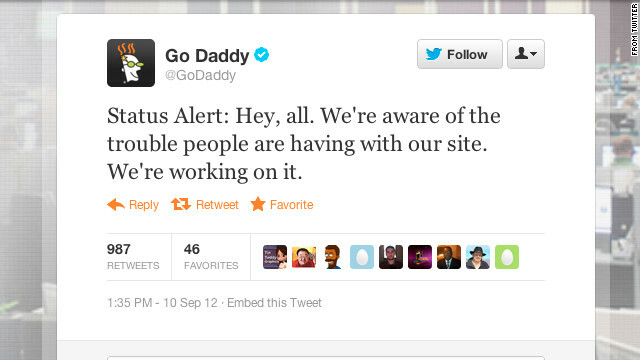 Update: GoDaddy says hackers are not to blame for the service outage. GoDaddy, the massive Web hosting company, went down for several hours on Monday, taking an untold number of websites with it. Field Services In Need of a Push? Success in IT Field Services and in working as an Independent Contractor takes many skills, but cutting through all the noise, finding the information that matters, and being responsive when it counts is certainly one key to success. Now Playing In the Google Play Store: OnForce for Android!